David grew up in the Inland Empire of Southern California. On October 1st 1984, he enlisted in the U.S. Army out of Los Angeles, CA. His first duty assignment was at 3rd Battalion, 75th Ranger Regiment as a Fire Support Specialist. While with the Rangers, David served as a forward observer and as a company and battalion-level fire support NCO until 1991. During this assignment, he participated in the airborne operation into Rio Hato, Panama during Operation Just Cause. In March of 1991, David completed Drill Sergeant School at Fort Benning, Georgia and was assigned to Fort Sill, OK. There, he served as a drill sergeant, completing that assignment in 1993. In March of 1993 David began Special Forces training. After graduating from the Special Forces Qualification Course and Arabic Language training in April of 1994, David was assigned to 5th Special Forces Group at Fort Campbell, Kentucky. While at 5th Group, he served on a Military Free Fall detachment as the senior weapons sergeant and also as the assistant operations and intelligence sergeant until April 1998. From 1998 until 2012, David served in various SOCOM elements as a Team sergeant, Troop sergeant major, Squadron command sergeant major, and as a brigade-level command sergeant major. During this period, he deployed operationally numerous times. Then, from June 2012 until May 2015, David served as the senior enlisted leader for Special Operations Command Africa, Stuttgart, Germany. Following his tour of duty at SOCAFRICA, David was assigned to Fort Bragg, NC, where he served as the operations sergeant major for the United States Army Special Operations Command G-3. In early 2016, he was selected by the Commanding General to serve as the 27th Command Sergeant Major of the United States Army John F. Kennedy Special Warfare Center and School. 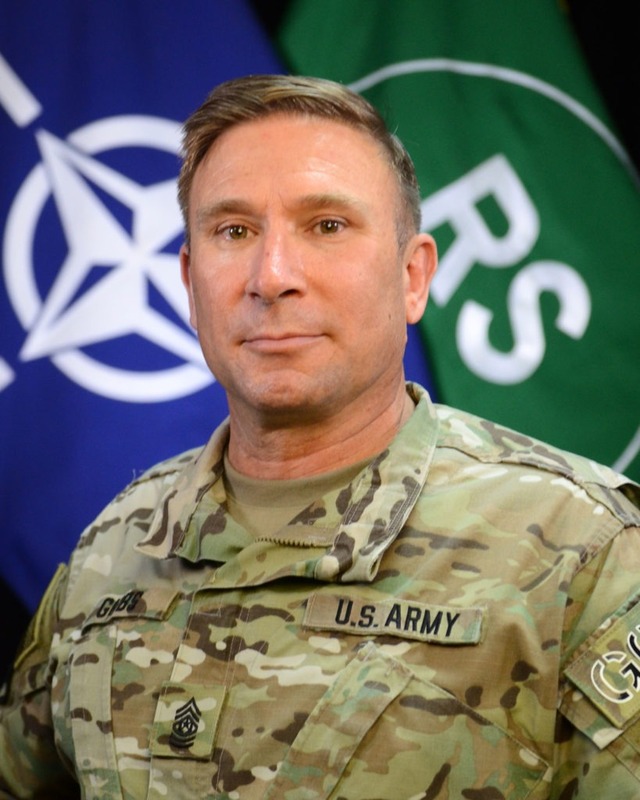 David served as the USAJFKSWCS CSM from March 2016 until July 2017, when he was selected to serve as the Senior Enlisted Leader for the NATO Special Operations Component Command-Afghanistan/Special Operations Joint Task Force-Afghanistan from July 2017-June 2018. Following transition from the Army and retirement in early 2019, David has lived his best life, pursing activities such as spending time with family and friends, hiking and kayaking the wilderness of the mid-Atlantic region, and walking his dogs. He will continue to teach, coach, train and mentor across the SOF enterprise as opportunities arise. David is married to Karli Ann Varnado and he has one son, Jackson.